Gina Romero remembers growing up with an OFW mom. From a young age, her mother had to seek work abroad as a domestic worker. While she was eventually allowed to join her mom in the United Kingdom, Romero realized that a lot of other children were left without moms back in the Philippines. Romero wanted to create a solution for this to prevent the social cost of children growing up without moms and parents not being able to see their children grow up. This led her to create the group Connected Women a startup that matches women, especially moms, to women entrepreneurs who are seeking virtual assistants and other online job seekers. Technology has paved the way for remote working, an employment setup where workers don’t have to come to an actual office and perform their job using only their laptop or mobile phones. The best part is, they can do it anywhere. Connected Women is utilizing this concept so that new moms or those who are considering going abroad may be convinced to just stay at home, especially since there are jobs available for them. Aside from providing online-based jobs to those who are seeking them, they are also reaching out to women entrepreneurs who may need to hire people who do online-based jobs, such as being a virtual assistant. Using Connected Women’s website is simple. Job-seekers just need to register in their website, participate in an interview and wait to be matched to an available job. Woman entrepreneurs seeking skilled workers in the online realm need to click on the tab assigned for entrepreneurs and register. Hiring a full-time virtual assistant, for example, may cost around $600 to $900 per month, according to their website. While this is the current setup, Connected Women didn’t start out like this. The group, through its members’ efforts, has evolved over the last years ever since they launched in Singapore. According to Romero, Connected Women was initially a community that focused on its advocacy for technology adoption by women, mainly running events in partnership with technology companies. It eventually evolved into a community-led content platform that became more active in helping members market themselves and their businesses better by highlighting the importance of a strong online brand. “And now, with everything that we have learned over the years, we are pivoting to a tech-startup job matching platform,” Romero said. One of the mothers who benefited from Connected Women is Moren Manalang, who is also the group’s Events Administrator. What Manalang loves most about working from home is being able to do the things she loves, spending more time with the family, and having the flexibility to bring her work anywhere as long as there’s WiFi. Aside from being able to focus on raising her daughter, she can also avoid the hassle of commuting and traffic. The website not just caters to Filipino moms but also to women from different backgrounds or industries. One of these is Kirstie, 26, a resident of Metro Manila. After signing up with Connected Women, a client was matched to her just two days later. Kirstie recalls that the process had been very smooth and she now enjoys her work as a virtual assistant to The Athena Network, which is based in the UK. Her work as a virtual assistant entails being like an office secretary without the hassle of going to an actual office. She said she is satisfied with her paycheck, which allows her to pay her bills, rent and groceries. Being a virtual assistant also gives Kirstie the freedom to manage her own time and travel the world whenever she likes. Before signing up for Connected Women, Kirstie has also tried other online job hunting sites but she said it’s always been a hit or miss. This is also the reason why Rugine Cheena Galo, 27, availed of the job matching prospects of Connected Women. A graduate of Applied Mathematics from UP Mindanao, Rugine’s first job was not related at all to her course. For five years, she worked in a traditional office setup until she found out about Connected Women. “The pay is a whole lot better than jobs in Philippines. Remote work is a hidden treasure only a few realized. I think the best thing with Gina is that she connected me to a company related to my field so it was great matching,” Rugine said. With her paycheck, Rugine says she is able to pay for the tuition of her sister, who is currently studying medicine. Before finding her job as an as executive assistant and finance officer for Singapore-based The Projector, Rugine considered leaving the country for better opportunities abroad. Now, she only leaves the Philippines when she wants to go on vacation. “It's no longer about fighting poverty… It’s just about wanting to explore the world and enjoying my youth,” she said. The success of the group and their matchmaking website garnered them a recognition in the Philippines and abroad. 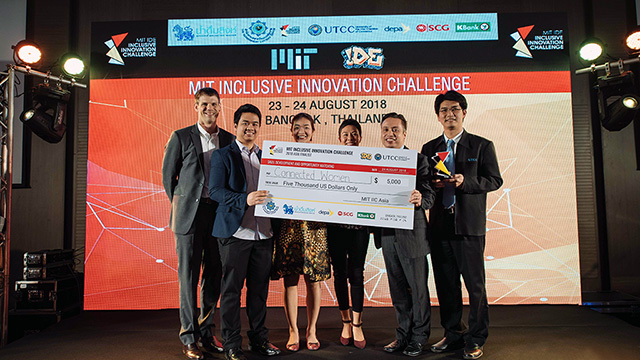 Connected Women was one of the 12 startup finalists that participated in the MIT Inclusive Innovation Challenge (IIC) Asia Regional in Thailand last August 24. 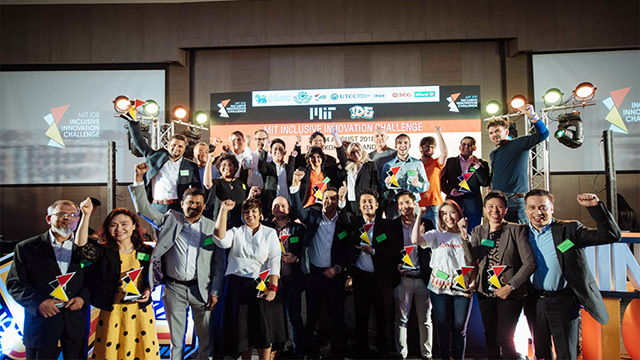 They were selected from over 165 applicants across 25 countries in Asia. The group was also a top three finalist in the Skills Development and Opportunity Matching category, where they were given a $5,000 grant prize. Romero said that they have been working hard to understand the best way they can help the women entrepreneurs in their community succeed. “It's taken a while to understand what will really make a difference to them and help them in a tangible way. Now that we have the solution, we are moving on to the next set of challenges. Building a tech-startup isn't easy but we love every minute of it,” she said. In April 2018, the group also launched Connected Women Meetups, where women can network and learn from one another’s stories. They have conducted sessions across four countries—including UK, Malaysia and Singapore—14 cities, with over 500 attendees. The group also has an ongoing partnership with Facebook's #SheMeansBusiness initiative, enabling them to reach out to more women. “I think what makes me proudest is when I see the communities leading their own groups. It's really heartwarming to see that our mission to help women use technology for successful businesses and careers resonates far and wide,” Romero said. Romero says the organization’s goals for the next five years are pretty lofty—they want to become the go-to platform for any woman entrepreneur or professional looking to hire a highly skilled virtual assistant or remote team member. 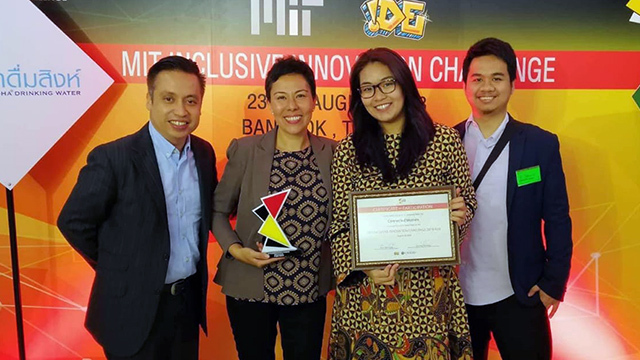 “We want to showcase the talent of Filipino women and help as many women as possible to find meaningful online careers, so they can earn a decent wage from the comfort of home,” she added. Romero, who has been working from home herself for the past 10 years, said that remote working can also be challenging. “While there are so many benefits, it's important to treat the opportunity like any other career. It can be easy to mistake an online job for casual work that you can do in between other things, and while that might be the case for some projects, most of the time it's as demanding as any other role you might take on,” she said. “It takes a high level of focus, discipline and professionalism to be successful. You need to be comfortable with transparency and be a really good communicator,” she added. Even if she doesn’t see her colleagues face-to-face, being part of a remote team means she never feels isolated because we are communicating and collaborating all day. “It might not be for everyone, but for many, once you work from home, you can never go back to a normal job,” she said.